Thank you for your interest. Your message was sent successfully. Please allow up to 24 hours for your query to be seen. There was a problem sending your e-mail. Sorry about that. Please try again later or e-mail using the address shown at the top of the page. Different Code | What is this? We will never distribute your personal details to third parties. Details of your correspondence (including ip address) will be retained safely in accordance with the Data Protection Act of 1998. This recipe comes from our packer, Tom. It's perfect for when you've had a long hard day and you want something that's quick and simple to make, with just a handful of ingredients. Don't be put off by the prospect of making a dough - it's simply a matter of giving it a good mix and tipping it onto the worktop to shape. It couldn't be simpler! Preheat the oven to Gas Mark 6 (200°C). Peel the onions, halve them, then cut each half into 4 segments (unnecessary if they are already small). Heat the oil and butter in a pan, then add the onions and cook over a medium heat, stirring regularly for about 30 minutes; they should be soft and tinged with colour. Season, and add the thyme. Turn into the pie dish and scatter 50g of the cheese over the waiting onions. Leave whilst you get on with the dough topping. Put the flour, baking powder and salt together in a bowl with the remaining cheese. Pour the milk into a measuring jug, add the melted butter, mustard and egg, mix well and then pour onto the flour mixture in the bowl. Mix to a dough, it should be quite sticky. Then tip it out onto a work surface and press into a circle about the size of the pie dish. Transfer it to the dish, pressing it to seal the edges. Put it in the oven for 15 minutes, then turn the oven down to gas mark 4 (180°C) and give it another 10 minutes, by which time the dough should be golden and crisp on top. Let it stand for a couple of minutes, then cover with a large plate and turn upside-down. Place on a flat surface and remove the pie dish. Et voila! A hearty pie ready to eat. Add some potatoes, sour cream, or maybe even some brown sauce. Eat on its own or with a few sides. It's up to you! Many people balk at the prospect of cooking pumpkin (or butternut squash) because it's so difficult to get into them. If you've ever tried to peel and cut them into chunks you'll know it's an uphill struggle, which is why I never, ever do that. I prefer to throw the whole thing into the oven and forget about for an hour while it bakes, and then peel it apart. It makes life so much easier! The only drawback is that you can't use the flesh to make roasted chunks for a curry or similar because it's too soft, but it is wonderful for using in pumpkin pie or for flavouring a lentil pie. Yum! You can also use it for making cakes - it's great in carrot cake - as well as pancakes. It's an extremely versatile vegetable (or fruit depending on your take). So here's a quick and easy guide. What you do with it is up to you! Use a knife to stab the hard outer shell a few times to allow for ventilation. Place the whole pumpkin in a glass baking dish or lined oven tray and transfer to the oven to roast for 45-60 minutes, depending on the size of your pumpkin. The pumpkin is ready when the flesh is darker, and the skin can be easily pierced with a fork. Cut the pumpkin in half, and allow to cool for 20-30 minutes, until cool enough to handle. The skin should peel off very easily at this point, so remove the skin and scoop out the flesh. 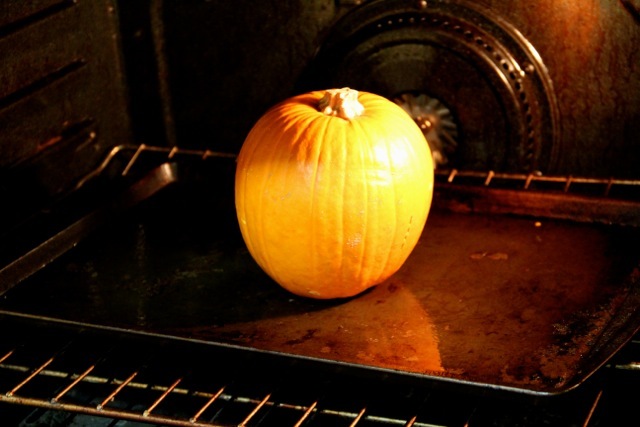 Throw your pumpkin in the oven and cut out all the hassle! Place the cooked pumpkin into a food processor and blend until a smooth puree is formed. You may have to do this in batches, depending on the size of your pumpkin. Store the pumpkin puree in a sealed container in the fridge for up to a week. It also freezes brilliantly so you can store it for later. 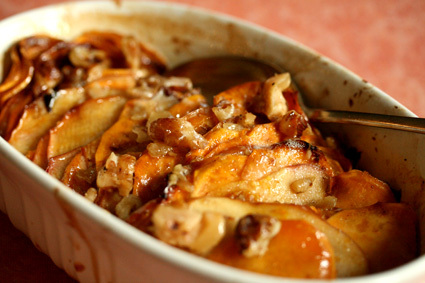 A delicious sweet and tart side dish, perfect for cold, winter days. Chop sweet potatoes into smallish chunks, and peel, core and chop the cooking apple into small chunks. In a large bowl mix the sultanas with the juice and grated rind of the lemon and add salt and pepper to taste. Add the potatoes and apples to the bowl and toss, making sure that the mixture is well mixed-in. Transfer to an oven proof dish, and pour in veg stock (you may use chicken stock if you wish). Cover and bake for 45 min or until potatoes are tender. Cauliflower is a much underrated vegetable. Many people recoil at the thought of the smell of cauliflower - I'm sure many can recall our parents or grandparents, or even school's over-boiled cauliflower drowned in a cheese sauce. You still find it boiled or steamed, naked and limp, in many restaurants crying out for someone to do it some justice. But there is so much more to cauliflower than the boiled soggy experience we've become accustomed to. If you're a vegan you'll be very adept at turning this undervalued piece of veg into a masterpiece. Buffalo cauliflower wings, breakfast scramble with tofu and cauliflower, roasted whole, cauliflower hummus, cauliflower alfredo sauce, a variety of dry and wet curries, roasted cauliflower soup...the list is endless. 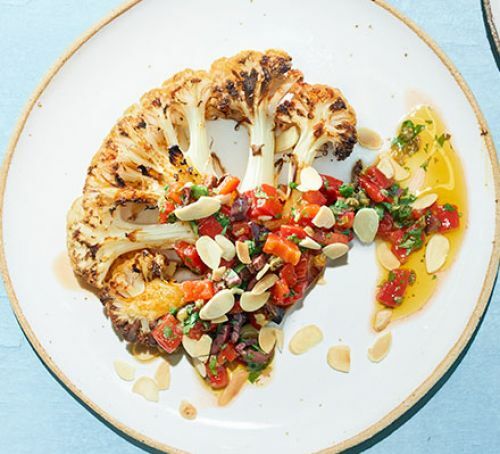 The king is definitely roasted cauliflower. You don't get that overpowering cabbagey smell when cooking, and it is sweeter tasting. You could make a cauliflower popcorn instead of actual popcorn to snack on, and it is very easy to eat a whole roasted cauliflower in one sitting! 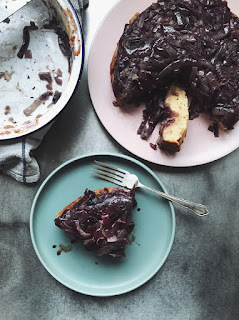 This recipe is quick, simple and delicious. Heat oven to 220C/200C fan/gas 7 and line the baking tray with baking parchment. Slice the cauliflower into two 1-inch. Rub the paprika and 1⁄2 tbsp oil over the steaks and season. Put on the tray and roast for 15-20 mins until cooked through. Meanwhile, make the salsa. Chop the pepper, olives, parsley and capers, and put into a bowl and mix with the remaining oil and vinegar. Season to taste. When the steaks are cooked, spoon over the salsa and top with flaked almonds to serve. This is a really simple to make dish with few ingredients, but don't let that fool you, as it's incredibly difficult to stop eating! There are some who are really hesitant about eating a dip made almost entirely of aubergine, but any reservations are cast aside upon tasting its lovely smoky, creamy flavour. The smoke flavour is what makes the aubergine the star of the show with the depth of flavour coming from smoking the skin. The more charred the aubergine is, the better. 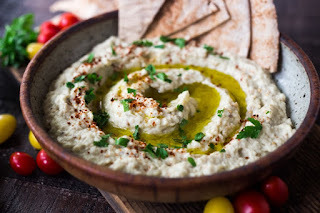 It's like hummus, kind of, only tastier and much smoother and creamier. You can serve it cold or at room temperature, but in this autumnal weather, room temperature is better suited, and it is perfect with some warm flat bread. It doesn't need to be summer to enjoy this fabulous dish! It is better to cook the aubergine in a barbecue (not ideal in this weather) or under a grill, but you can also use a gas ring or do it in the oven. Whatever way you do it, you want the skin to blister and char. 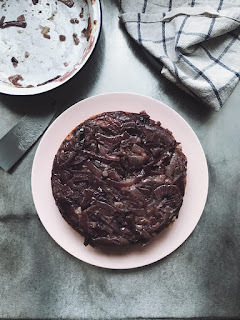 Blacken the aubergines (whole) over a gas ring or barbecue, turning regularly with tongs, until completely charred and collapsed (you may wish to surround the rings with foil, as it can be messy). Allow to Cool. Slit the aubergines lengthwise and scoop out the flesh, discarding the skins. Put in a sieve and leave to drain for 30 minutes, or squeeze out if you're in a hurry. Season a little. In a serving bowl, stir the lemon juice into the tahini until it loosens up. Add the garlic and two-thirds of the chopped herbs, and season again to taste. Add a squeeze more lemon juice if necessary. Mash the aubergines gently with a fork, and then stir into the tahini mixture. Top with the remaining herbs and the pomegranate seeds, if using. Pour a moat of oil around the edge and serve with pitta bread or some other flat bread; or even crusty bread. You can also serve with fresh raw veggies for dipping. Heat the oven to 220°C-230°C oven. Slice in half, lengthwise, roast flesh side down, then place on a lined sheet on an oven tray until very tender – test by piercing the skin – about 60 minutes. The skin should be charred on the outside. Allow to cool. Follow the rest of the instructions in the barbecue method. Prick the aubergines with a fork. Grill the aubergines until the skin is charred and blacked and the flesh feels soft when you press it (this will take approximately 15-20 minutes, turning halfway through cooking). Allow to cool. The perfect autumnal dessert. Serve with warm custard to heat you up in these colder days. If you don't have quince you can simply add more pears and apples. 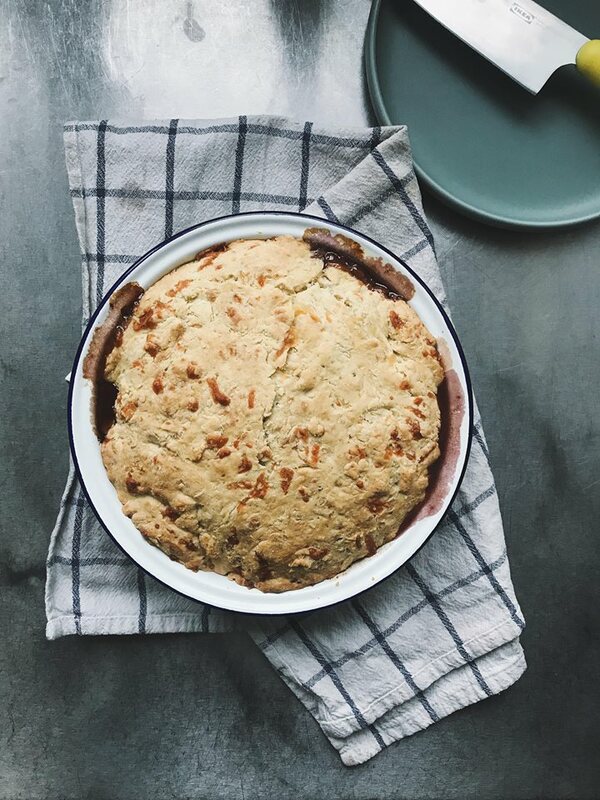 A delicious autumnal quince orchard pie. Some almond milk (or alternative) to brush the top of the pie with. Put the quinces in a large saucepan with the margarine, vanilla pod and seeds, cinnamon and 2 tbsp of water. Cover and cook for 5 minutes over a medium heat. Add the apples, lemon juice and sugar. Cover again and cook for another 10 minutes. Add the pears and flour and cook with the lid off for 5 minutes, stirring occasionally to stop the flour from sticking. The fruit should be soft by now, but still keeping its shape. 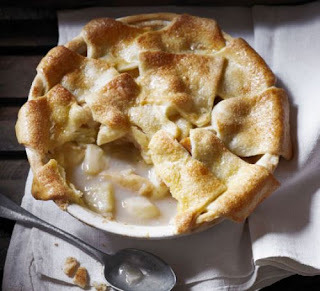 Remove the vanilla pod and transfer the fruit into a deep pie dish (22cm). Leave to cool. Heat the oven to 180C/160 fan/gas mark 4. Roll the pastry onto a lightly floured surface until it is about as thick as a £1 coin. Trim the edges then cut into rough triangles or squares. Brush a little milk around the edge of the dish and all over the pastry shapes. Starting from the outside, layer the pastry in a patchwork style. You can leave little gaps for the fruit to poke through when cooked. Trim overhanging edges and sprinkle with a generous amount of caster sugar (the pastry should be wet from the milk for the milk to stick to). Bake for 45-50 minutes until golden brown and juices bubbling over, then serve. Preheat the oven to 190C. Lightly oil a sheet of grease-proof paper and place on an oven tray. Cut the squash in half lengthwise from stem to tail and scrape out the seeds. * Drizzle with olive oil and season with salt and pepper to taste. Place the squash, face down, onto the prepared baking tray. Place in then oven and roast until tender. This should take around 35-45 minutes. Remove from the oven and leave it until it's cool enough to handle. Using a fork scrape the flesh to create long strands. 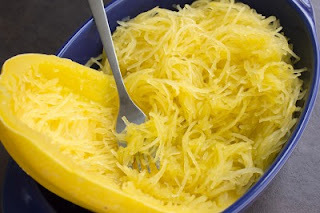 *The squash can be placed in the microwave for 2-5 minutes for easier slicing. Cut the tops off the veggies and carefully scoop out the flesh with a spoon. Chop the onion and courgette flesh. Heat a pan over medium-high heat and add the chopped onion insides, garlic and a splash of water (or oil if you prefer). Once soft add the mushrooms and fry until browned. Add the carrot and chopped courgette flesh. Cook until the carrot is tender and the liquid has evaporated. Add the paprika and herbs and saute for a few seconds to release the flavours. Add the lentils, passata, salt and pepper and cook for a couple more minutes to allow the flavours to meld. We'd love to hear from you, please feel free to get in touch! Bridgefoot Organic Co-operative Limited is a registered society under the Co-operative and Community Benefit Societies Act 2014.